The Answer Racing AR5 Mud Pro gloves ($54.95) are designed to provide extra grip in muddy riding conditions. They have articulated knuckle-protector pads, internal palm pads, and touchscreen-capable synthetic-leather fingertips. 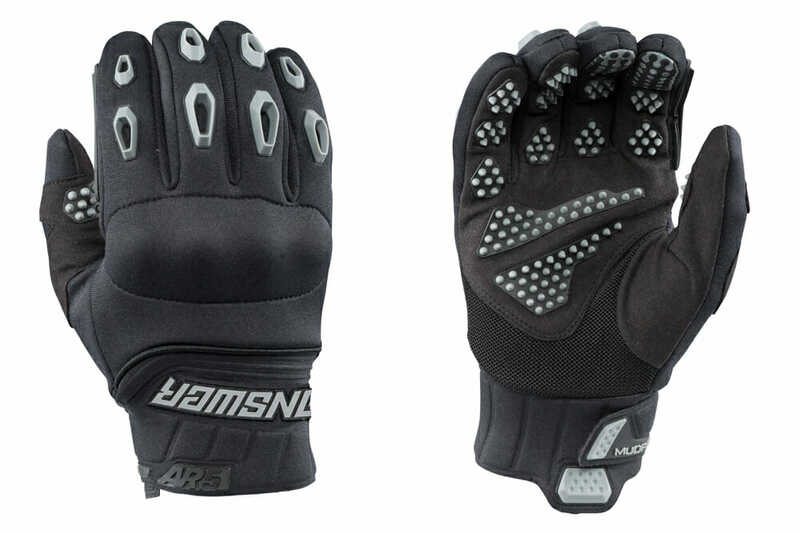 The gloves have extra-long cuffs, and the right index finger has a goggle/shield scraper to wipe away mud or water.